Anyway, it has always happened with me…initially I ignore and then my mind says no ..I should try :D…so I did! 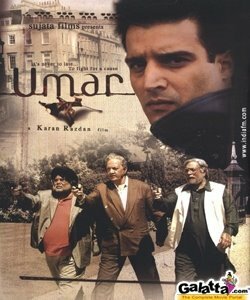 This movie ‘Umar’ (Age), the name and the star cast attracted me…! This movie when I started watching, I think its another story where today’s kids don’t care for there old aged parents..and the difference was that this was shoot in UK. So one can see how people don’t even come to see there parents in the old age home and how Asians they do make use of there parents by bringing them to a different country and make them there housekeepers or baby sitters …it is sad and I often used to go to Old age homes in Canada just to make them feel that some one is there to care and even they are loved. The same thing I found in this but with a twist where you get to solve a murder mystery but the theme is of support, love and trust. Please listen to the ghazal word to word…for those who don’t understand the meaning – the summary is…how parents run after fulfilling the dreams …of there kids and later when they think they can enjoy by then age has brought all the restrictions. In fact those people who have a family they don’t know the value of it …the situation is such that even though family is there still they feel they are orphans even with the family…I think that’s a big curse to human being. If you have nothing to do then do watch this movie…and yes its not related to any region country or culture its for All…whether you are Americans, British Chinese Indians Iranians or …so on…if you are human do watch and it teaches a good lesson to all. 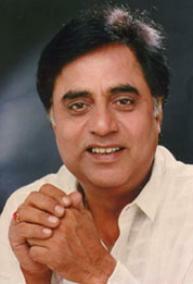 hey , i cant post comments here..its my second attempt and i hope it goes..
lovely post…Jagjit Singh is one of my fav. 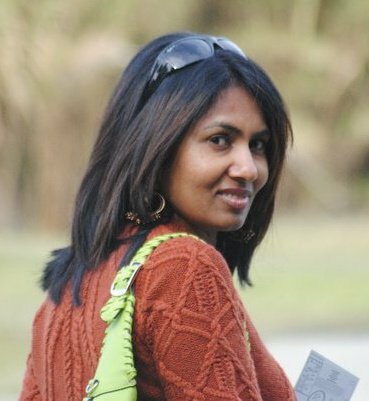 as well…And I am gooing to look for this gazal as well. Lovely post and I have not seen the movie. Saw Fanna and thought it was really good, a bit long but was fine. Its really sad about the old people nowdays. But it is difficult also for two working people to look after their parents. Especially in foreign countries where getting help is very expensive or limited I dont know what a person can do.It seems awful to have to send your parents to a nursing home or a retirement home but I think it is better than being locked up in the house alone when the kids go to work. Atleast in a retirement home there are other people to talk to and events to attend and lots of entertainment. At the same time the children should not forget that their parents are there and weekly visits would help. I really dont know the answers what one should do. I just hope when I am old my children wont leave me alone.Children should remember that they also will grow old one day. “Treat others as you want them to treat you … ” – that’s one of my principles!! GREAT POST dawn .. thanks SO MUCH!! **So one can see how people don’t even come to see there parents in the old age home and how Asians they do make use of there parents by bringing them to a different country and make them there housekeepers or baby sitters …ITS VERY SAD! I see that happening in some of my own cousins’ households. It’s pathetic. Parents bring us up well so that soem day we can look after ourselves w.o. bothering them in their old-age. We have no right to make em our house-keepers and baby-sitters. I despise such ppl!Keshi. Happy Independence Day to India and Pakistan!! /Age does not protect you from love, but love to some extent protects you from age./I like this quote. I think people shud be treated better at any age. Just becoz they are old, it doesn’t mean they have to do all household chores. No way. Atleast we shud respect what they have done for us and make them happy. hii dawn..independence par yad karne ke liye bahut shukriya!aur tumhe bhi badhai..aur han negligence of parents from their own children is v sad…and as always quotes are so wonderful..
Never heard this movie name. It seems to have captured a reality. Have seen other movies capturing this aspect of older citizens being weaned and used and made to feel pathetic. Going to their sons or daughters place and baby sitting is very common. I wont say it is absolutely rong unless they are forced to do tht as they have no other choice. I am saying this as in India we have so many grandparents who look after their grandchildren as they love to do that and they dont mind either and there is no force. It will be different when they go to another country as they dont have the circle of friends or the other social activities and they are more or less prisoned. I hope that no one forced their parents to do such things out of their free will. It is monstrous to do such a thing. Its hard to believe and digest but most of Indian elders are “Imported” as baby sitter or housekeeper. hi buddy,great post n lovely song by jagjit singhwell i havent seen this movie yet…but now whenver i got the time,will definetly do that..
What goes around comes around. Most kids who treat their parently badly or don’t call up their parents are kids who have seen their parents ignoring or argueing with their grandparents !! So true!So many cases have been shown on TV where the old parents have been left and even haressed by their kids and left to fend for themselves at such an ols age!Such kids should be ashamed of themselves! nice topic to talk abt.since movies attract ppl, i hope lots watch this one n learn the lesson…watch fanaa too:) its nice! Hmmm have heard this ghazal in promos on TV but still to see the movie. I also saw two movies during holidays at home. Both Neeraj Vohra’s creation. While Golmaal was wonderful time pass , Phir Herapheri has nothing new to offer. lovely post..n jagjeet singh,my all time favourite..keep writting..
Hmmmm, Update your blog Dawn!